Manufactured with high quality Honey Leather. Strong, durable dual density sole unit extends the products life span. Steel midsole for underfoot protection against penetration. 200 joule protective steel toe cap. The insole used is Anti Bacterial lowering odour build up. 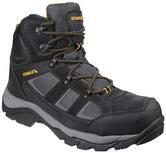 Hiker-style work boots from Stanley, combine durability, with full foot protection and comfort. Textile and suede leather upper, Speed lace-up system. Aerospacer mesh inner lining improve air circulation and promote dryness of the foot. Rubber scuff cap for extended protection and durability. Stanley SY510 Razor Gripper Gloves Nitrile Palm Coating Designed for superior grip & control, ideal for general use and nearly all applications. Raised multi bar pattern covers more surface are of the object for extreme grip in wet conditions. 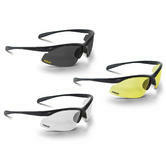 Stanley Semi-frame safety eyewear for a secure and comfortable fit in all work environments. When Fred Stanley set up The Stanley Works in 1843, he set the standard for hardworking, innovative, powerful tools that help professionals worldwide to build, repair, and protect the world?s most valuable things. In this case, those tools are your Stanley workboots. The Snickers Workwear 3312 trousers is a prime example of the quality products snickers has to offer. Fred?s philosophy was: Take pride in your work, and use good tools to build the best. As a skilled end-user, looking for the very best in safety boots, Stanley is here for you. Stanley Safety boots are continually tested, designed, and improved upon to guarantee excellent quality and maximum function. Check out our entire Catalogue for a wide selection of safety gear!